We arrived in Austin late afternoon, and decided to explore the area around our motel on South Congress. 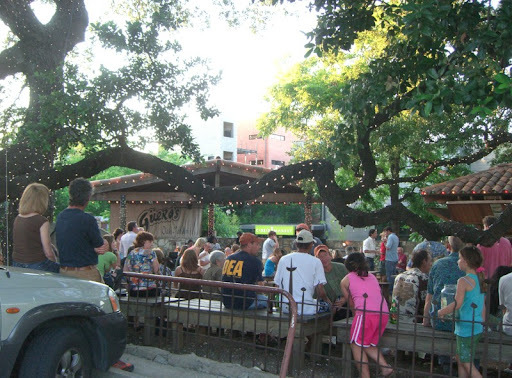 I would describe the atmosphere in the "SoCo" area as Austin family outing meets hipster scene. 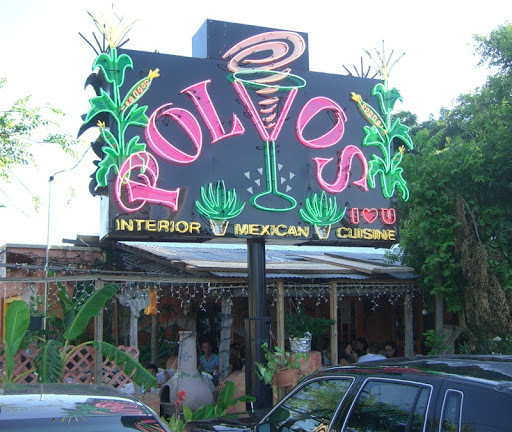 Although not technically in SoCo (it is a few streets over on South 1st), Polvo's was an easy choice for happy hour / early dinner. I handled the beers, Sherry took the 'ritas and we shared the fajitas. 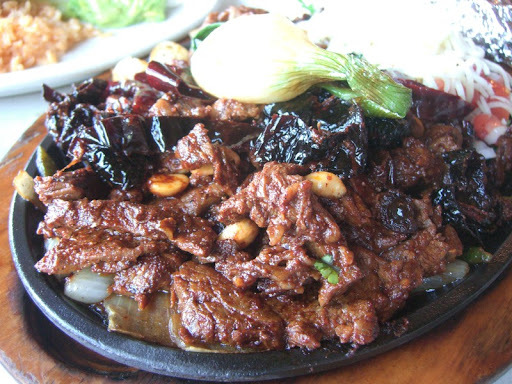 We had been told to get the Fajitas al Guajillo, so that's what we did. 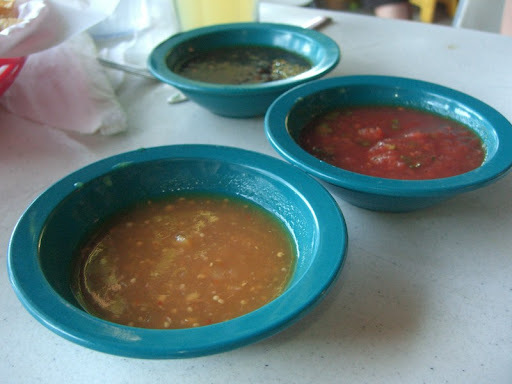 The salsas from the self-serve bar were very good. Sherry really liked the yellow one - it had just a hint of sweetness and a decent, but not overpowering bite. I was more partial to the one at the back that you can hardly see. 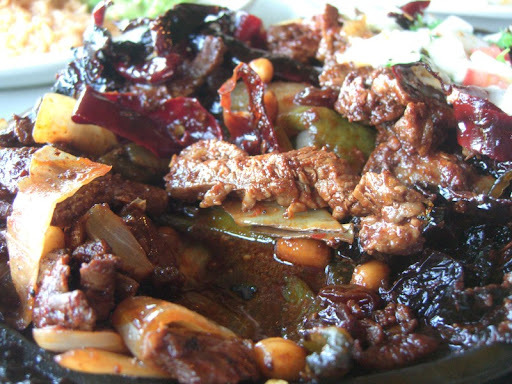 It was fire-roasted, with lots of little black charred bits - a nice contrast to the other two. Also in the "Beer and 'Ritas" vein, and even closer to our motel, was Güeros. We didn't try the food in the main restaurant, but we stopped in for a few drinks at their adjoining outdoor spot. With a relaxed atmosphere, a band playing, and the welcome shade of a couple of large oak trees, it made for a nice setting to while away an hour or so.